Your Business is a Reflection of you! Your Business is nothing more than a Reflection of who you are. 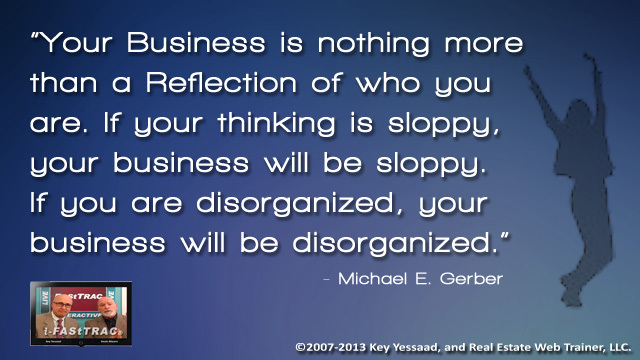 If your thinking is sloppy, your business will be sloppy. If you are disorganized, your business will be disorganized.